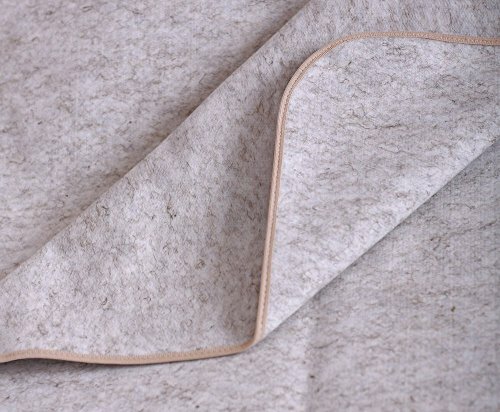 OLM-01-SMALL Healing compound blanket, small size 110×160mm, 1.3kg OLM healing compound blanket The OLM healing compound blanket is a therapeutic device made as a blanket that has a shielding layer. OLM is designed for treatment and prophylaxis of functional disorders and diseases. The adaptive mechanisms normalization of the patient's body underlies the principle of the device operation. High effectiveness, usability and safety allow to apply OLM at home not only for treatment purposes but also for relieving fatigability, normalizing sleep, raising body's resistibility. OLM is compatible with pharmacotherapy. therapy of locomotor system diseases (osteochondrosis, arthritis). If you have any questions about this product by RITM, contact us by completing and submitting the form below. If you are looking for a specif part number, please include it with your message.